The Tampa Bay Rays beat the Toronto Blue Jays—and they have Los Angeles Dodger Chase Utley, or at least his rule, to thank for the victory. 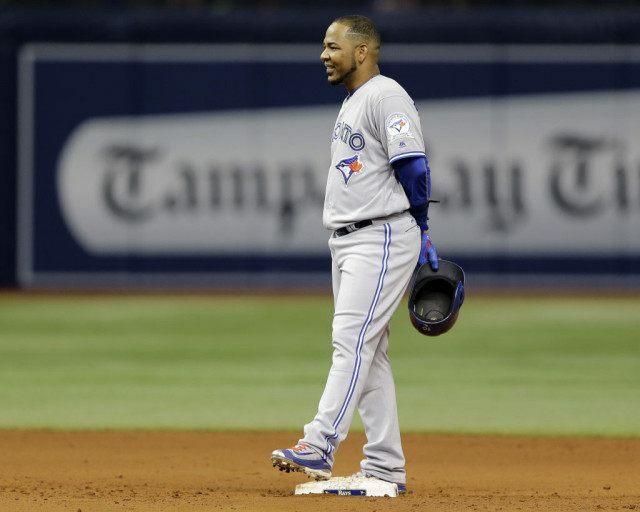 In the top of the ninth inning, Blue Jays designated hitter Edwin Encarnacion grounded a ball to third baseman Evan Longoria, who made the put out at second with a throw to Logan Forsythe. But Jose Bautista’s slide appeared to influence Forsythe, whose poor throw to first allowed the Blue Jays to score two runs because the Rays could not complete the double play to end the game. Rays skipper Kevin Cash objected. He asked for a replay review, citing the Chase Utley rule implemented this offseason after the Dodgers second basemen broke then Mets shortstop Ruben Tejada’s leg on a hard slide into second during the 2015 postseason. The umps in New York agreed with Cash. Bautista slid past the bag and made contact with Forsythe’s foot with his hand. Instead of the Blue Jays taking a 4-3 lead, the play—at least after the umpires reviewed it—ended the game with the 3-2 Rays lead intact.